On Monday, the California Supreme Court issued a major ruling on the distinction between independent contractors (IC) and employees, establishing a new test for determining classification that presumes that workers are employees and not ICs. The case, Dynamex Operations West, Inc. v. Superior Court of Los Angeles, dealt with a delivery service that classified its workers as ICs. A driver filed a class action suit, arguing that the classification was improper. While the ruling did not resolve this specific case, it provided a new framework for lower courts adjudicating the dispute and others like it. In an unexpected turn, the court established an entirely new test. Under the previous “Borello” framework, the main consideration was whether the company had the right to control the manner by which the worker performs the work. But under the new ABC test, businesses must show that the worker is (1) free from the control and direction of the employer; (2) that the worker performs work that is outside the hirer’s core business; (3) and the worker is customarily engaged in an independently established trade, occupation or business. “When a worker has not independently decided to engage in an independently established business but instead is simply designated an independent contractor … there is a substantial risk that the hiring business is attempting to evade the demands of an applicable wage order through misclassification,” Chief Justice Tani Cantil-Sakauye wrote for the court. 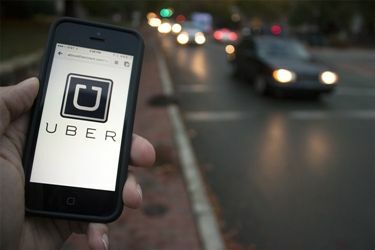 The decision has particularly stark effects for the so-called gig economy, as ride-sharing giants like Uber and Lyft have increasingly come under scrutiny for classifying their workers as independent contractors and not employees. Additionally, the ruling is likely to have a major effect across almost all sectors. The court provided other examples for occupations like plumbing. Furthermore, a worker won’t be considered an employee “only if the worker is the type of traditional independent contractor … who would not reasonably have been viewed as working in the hiring business,” the court added. More broadly, the court also framed the issue as one of fairness, believing that denying employee status is harmful to a large swath of workers. Companies have a substantial incentive to classify workers as ICs over employees, as they don’t have to pay their social security or payroll taxes. Furthermore, workers have additional protections if they’re employees, such as unemployment insurance. “It means that companies in industries from construction to tech to homecare and trucking will no longer be able to dodge minimum wage laws by pretending that the workers who form their workforces are somehow not their employees,” the group’s spokeswoman Rebecca Smith added.